BRP (TSX:DOO) is expanding its range of Rotax internal combustion engines to electric powerpacks. BRP's new Rotax THUNDeR powerpacks will offer consumers all the advantages of electrification, including lower greenhouse gas and noise emissions, with the same performance and ease-of-use that have become hallmarks of the Rotax brand. "BRP is focused on providing trendsetting experiences to its consumers," said José Boisjoli, president and CEO. "With the introduction of an all-electric zero-emission low-noise kart, BRP is positioned to fully seize and shape new markets. 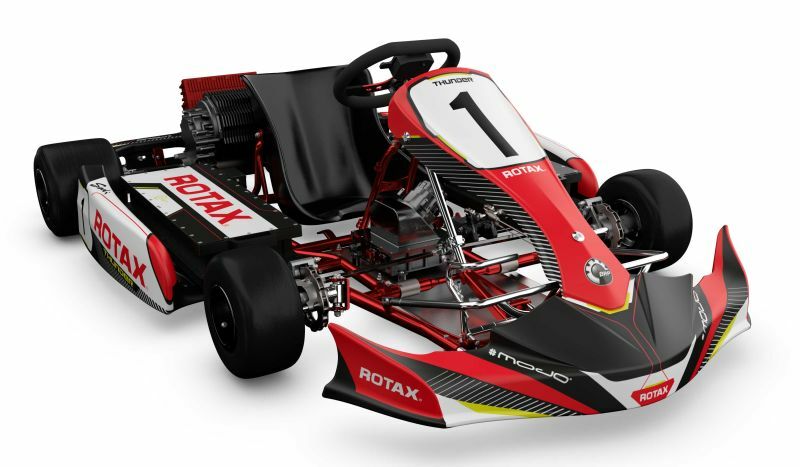 Ongoing innovations in electric technology and shifting consumer demand enable us to extend the performance and thrilling experiences of the acclaimed Rotax racing DNA to our new electric powerpacks." A top speed of 130 km/h. "This new powerpack is a ground-breaking development, and we are very excited to be taking our first step into the world of electrification," said Thomas Uhr, General Manager BRP-Rotax and Vice President Powertrain BRP. "As the world of powersports continues to advance, it is important that we evolve our business to embrace emerging trends. Our new offering will be a complement to traditional race-day excitement, and we are thrilled to be using new technology to provide an alternative, high-level powersports experience." The Rotax electric powerpack will be distributed through RIC TECH, a joint venture between subsidiary BRP-Rotax and Italian partner SMRE SPA.